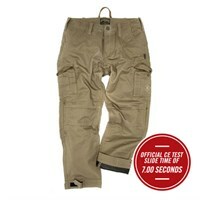 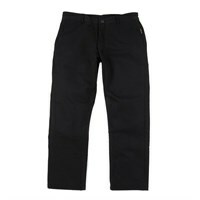 Canadian manufacturer Resurgence makes some of the best and most protective motorcycle jeans on the market. 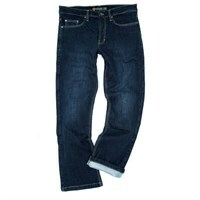 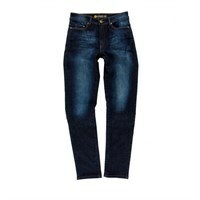 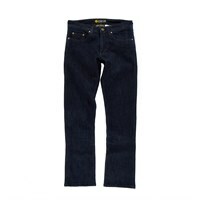 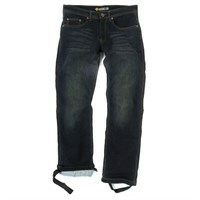 Their most robust model, the Voyager, is one of only three jeans to meet the demanding CE Level 2 standard. 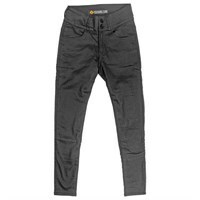 The Voyager scores higher than the other two contenders on the industry's standard abrasion test, and is nearly three times as protective as a leather trouser in this respect. 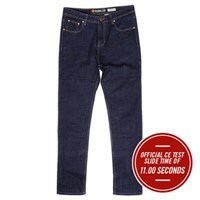 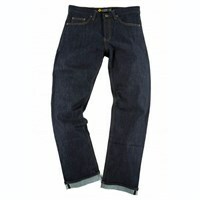 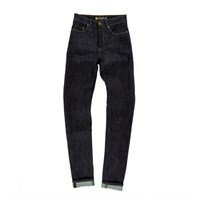 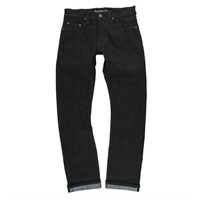 Their selvedge denim Café Racer model uses the same thickness of Pekev, Resurgence's anti-abrasion backing, but on only 60% of the jean, so it is as protective as the Voyager in the high risk areas, but it is a much lighter Jean to wear. 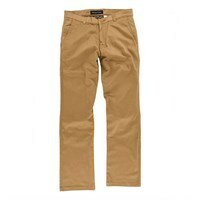 Resurgence makes many models of jean, and indeed chinos too. 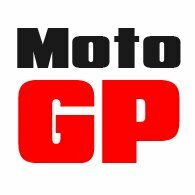 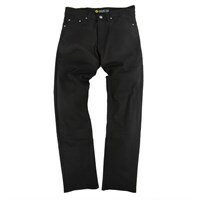 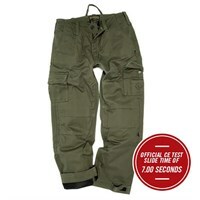 All come with hip and knee armour as standard, and in most cases a Resurgence pant cannot be distinguished from the style of Trouser you would buy on the high street.